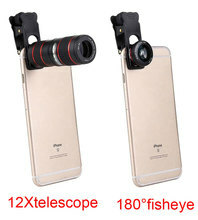 Function: Overcome the shortcomings of camera phones that can only be nearsighted, so that the vision can be clearly reproduced in front of you, with 18 times increase. Advantages: novel optical path design, super long viewing angle, large amount of light passing through, high resolution, good color reproduction, and significantly improved the image quality of mobile phones.. 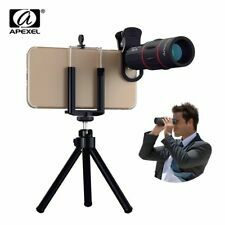 Uses: Suitable for watching games, concerts, tourism, animal observation enthusiasts, journalists' long-distance shooting, geological exploration, forestry management, railway port dispatching, traffic command management department forensics, public security law enforcement forensics, etc.. 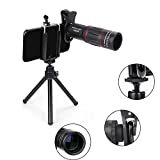 The main part of this product is a small telephoto end, through which the mobile phone can clearly capture the long-distance picture, and it also provides a dedicated stand and a complete set of equipment. 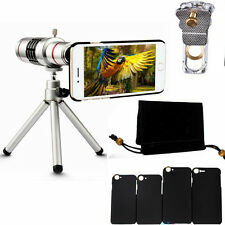 List of accessories: 1.18 times metal telescope tube, 2. aluminum triangle bracket, 3. small cloth bag, 4. lens cover two, 5. wipe cloth cloth, 6. universal clip 1. Mobile phone photography has become the daily life of the new generation, but the drawback is that the mode of mobile phone photography is really a single, if you want to shoot a different "unexpected effect." The main part of this product is a small telephoto end, through which your mobile phone can clearly capture the long-distance picture, providing the latest 3 meters focusing 18 times magnification, and it also provides a special bracket, after the whole set of equipment is installed The ph. 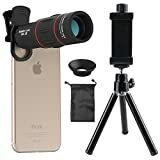 📷 【8000M Moon observing telescopic lens】 The max 30x telephoto lens bring around 8000M far away subjects closer, make your phone produces close-ups and long-range shots without compromising image quality, can also be Used as a standalone telescopic lens to help you view distant objects, ideal for camping, sporting events, Moon observing, bird watching, fishing, hiking, golf, concerts and travelling..
📷 【4K HD lens No dark corner】 shoot stunning photos of people, pets, Travel scenery, Landscapes, architecture, selfies and more. No dark corners (igniting) like cheaper lenses. Crafted from aircraft-grade aluminum and premium optical glass for durability and clarity. Multi-element, coated glass lenses minimize ghosting, Reflections, lens flare, and other artifacts. 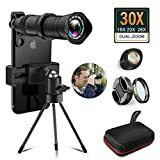 Mirrorless camera lenses ideal for hobbyists and photography Pros alike..
📷【18-30X dual focus adjustable telephoto phone lens】18-30x phone camera lens is 2019 latest version that is adjustable from 18x to 30x magnification which you can get 18x, 20x, 22x, 26x. . . Max 30x magnification according to your needs. This is dual focus adjustable for the objective and eyepiece, not only easily adjust the focus of the lens by rotating the focus ring to bring those long distance scenes into clear images without any dark, but also can work as a monocular telescope..
📷 【adjustable tripod and universal detachable clamps 】is equipped with a screw fixing device can adjust and fix the lens clip according to the thickness of the phone, and won't leave any scratches on your phone Due to EVA rubber on lens clip. Easy to install, remove and storage..
📷 【Universal Compatibility and use Guide】 the phone lens kit can fit most popular types and models of smartphones and tablets, including iPhone X, 8, 7, 6S, 6 Plus, Samsung Galaxy S8, S7, S7 edge, iPad, HTC, Sony, LG G6, G5 etc. Please clean the camera lens before using them and put on the covers When finish taking photos to get a clearer picture for the next time..
【18-30x Telephoto Phone Lens】Differed from cell phone lens on the market,our phone camera lens is adjustable from 18x to 30x magnification,You can choose 18x 20x 22x 26x 30x zoom base on your request. Dual focus adjustable for the objective and eyepiece,is not only easily adjust the focus of the lens by rotating the focus ring, but also can work as a monocular telescope giving you every opportunity to see the wonders of the world from a distance..
【Multi-element HD 4K Lens】Crafted from aircraft-grade aluminum and premium optical glass for durability and clarity.12 levels of red coated and 10 levels of professional accuracy SLR glass lenses minimize ghosting, reflections, lens flare, and other artifacts. Shoot stunning photos of people, pets, travel scenery, landscapes, architecture, selfies and more. NO DARK CORNERS (vignetting),ideal for hobbyists and photography pros alike..
【High Quality MC UV Lens】The MC UV Lens use Multi-Layers Coating technology to absorb ultraviolet light with a light transmittance of 99.9%,Greatly improve photo sharpness and color saturation.Another important use is to protect the Optical Telephoto Lens.The max 30x telephoto lens bring around 8000m far away subjects closer,make your phone produces long-range shots without compromising image quality..
【Adjustable Tripod and Universal Clip】All made of aluminum alloy, quality is much better than plastic. The 3 section mini tripod with extendable legs, up to 11 Inches, with Greater Stability and maneuverability. Universal detachable clamps design for easy install,remove and storage,There is EVA rubber on lens clip, it provides protection for your phone lens and perfect fit dual-camera phones..
【Universal Compatibility and Use Guide】The phone lens kit can fit most popular types and models of smartphones and tablets, including iPhone X,8,7,6s,6 plus,Samsung Galaxy S8, S7, S7 Edge, iPad,etc. 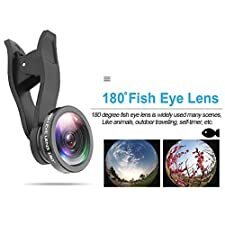 ideal for camping, sporting events,bird watching ,fishing, hiking, golf, concerts and travelling.Please clean the camera lens before using them and put on the covers when finish taking photos to get a clearer picture for the next time.. 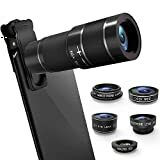 The 18X telephoto zoom camera lens bring far away subjects closer, used to photograph subjects you can't get close to, make your phone produces close-ups and long range shots without compromising image quality, take picture that your phone currently can't..
All coated glass optical elements, which allow more light passes through, transmits the colors, sharpness, and brightness precisely. High performance picture is created through the use of high-quality components.. Extendable tripod helps minimize blurriness from a shaky hand, stabilization is also handy when you're shooting video. 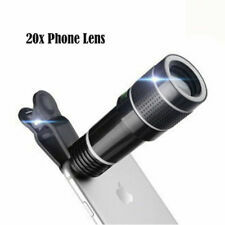 Attach a eyepiece, so the camera lens can be used as monocular telescope. Wide Range of Compatible Devices, Portable, removable and solid clip-on design that attaches to almost all smartphones including iPhone 8 iPhone 7, iPhone 6S, 6S Plus, iPhone 6, 6 Plus, iPhone 5S, SE, Samsung Galaxy S6, S6 Edge, S7, S7 Edge, HTC, Sony, LG G6, G5 and more.. The telephoto lens has a minimum focus distance of 10ft, it can't focus the objects close up. All of our product pass careful inspection and strict quality checks so that all users are able to capture the most impressive moment..
♥ The 8 in 1 combination phone lens kit for taking travel snapshots,wide landscapes,close-ups,funny circular picture,and 18X zoom lens with a specially designed eyecup more comfortable viewing in travel,concert,sightseeing,seaside,ball game,World Cup and so on..
♥ We had tested the lens on lots of phone,including iPhone,Samsung,Huawei,Xiaomi and so on,it can work well because of the unique clip..
♥ 18x telephoto great for manual focusing.The focus ring enables adjustment by hand freely.You can change the focus of the image to make better effects and zoom in on distant subjects and get that high resolution picture even from a far..
♥ DETACHABLE MULTI-FUNCTION TRIPOD:The legs can be split and arbitrarily distorted.It's more stronger and easy to clip on anywhere.Bend and rotate 360°to form the perfect shape..
♥ The wireless remote shutter is designed for person who like selfie.while occasion like taking photo for most people,it's convenient for us just to set the photo in one position and then simply press the controller,the wireless rangle of up to 30 ft.. 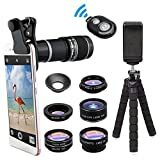 The 18X telephoto cell phone camera lens helps you magnify or get close to a subject further away, makes it easier to get more authentic and natural images. 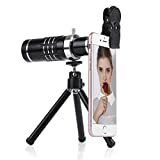 Simple lens attachment turns smartphone into telescope. Aluminum cased telescope lens and premium professional glass with manual focus adjustment, high performance picture is created through the use of high-quality components..
Easy to install and disassemble, with an additional eyepiece, so the lens can be used as a telescope alone, carry you on a journey of discovery to far away scenery, grant you with a higher level of creative freedom and versatility.. Wide Range of Compatible Devices, Portable, removable and solid clip-on design that attaches to almost all smartphones including iPhone X iPhone 8 iPhone 7, iPhone 6S, 6S Plus, iPhone 6, 6 Plus, iPhone 5S, SE, Samsung Galaxy S6, S6 Edge, S7, S7 Edge, HTC, Sony, LG G6, G5 and more.. 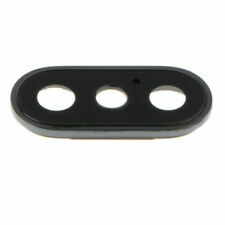 Adjust the focus ring freely to get best effect when take picture. All our phone lens are produced under strict quality inspection, enjoy 30 days money back and 12 month warranty..